Children and mess go hand-in-hand. The little darlings may take forever to do most things, but messing up their bedrooms is done in record time. So how do we get them to clean it? My son is only three but I absolutely cracked recently and emptied his room of toys – I felt like such a mean mummy. No sentimental soft and cuddly, no Matchbox car, no dinosaur or robot, no super hero costume and not one piece of Lego was left behind. Every shelf was bare, the toy box became just a box and the carpet was more visible than ever before. I thought the mass clear-out would surely be met with a tantrum, teach him to appreciate his possessions and show him mummy means business. My son was shocked all his toys were missing, but after the surprise washed from his face, he smiled and ran out of the room. He returned with a stack of books from the back room and put them on the shelves, before sitting on the floor with a book in his lap to flick through the pages. Instead of teaching him a lesson, I learned he was absolutely overwhelmed with stuff. 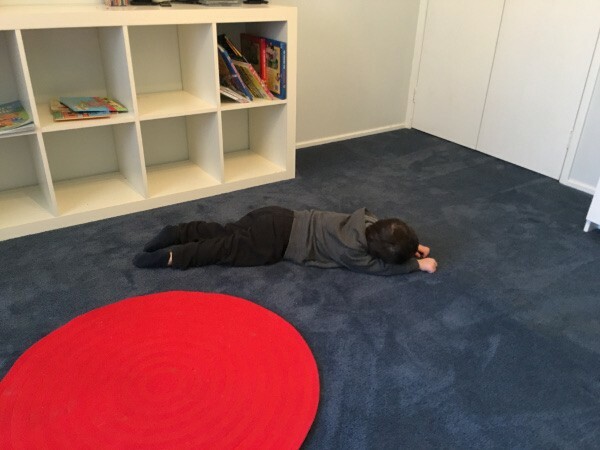 While the tantrum did eventually come – when he realised he couldn’t find his new Lego fire truck – when it was over, we were able to talk about what toys he might want back in his room. In the weeks that followed, my son was reunited with a selection of his toys. He found each a place to belong, the rest are ready to be re-homed. When it comes to getting him to help keep his room clean, the battle continues, but I try and keep it simple. Every morning my son makes his bed – the result is what you would expect from a three-year-old but the blankets are all pulled up and no pillows or teddies are left on the floor. When things get a little out of control again and a big clean up is needed, music really helps. Maybe it’s because the music makes the cleaning process fun or perhaps my dorky dancing encourages a fast finish, but I find it really helps to speed up the process. My son loves water and bubbles so I give him a bucket of soapy water – to spare the carpet, I keep the volume low – and a clean cloth, and we sing different songs as we wipe down his shelves. I do the high surfaces. I have never had trouble getting my son to vacuum, in fact from the time he could walk he has insisted on ‘helping’. He loves to make clean lines in the carpet with the big robot (aka vacuum) – sometimes they are squiggly lines but the key word is clean. Kids are kids and their rooms may never resemble the pristine space you created when they first entered the world. It’s about embracing their effort to do their best and, when this idealistic optimism just isn’t cutting it, I remember my little darling will be asleep in just a few hours and mummy can have wine. If you find the bedroom starts exploding into the rest of the house, here are some great expert tips to declutter the kid junk.